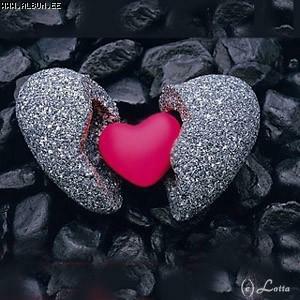 A broken heart: you think you will never get over him, and you would rather put aside the immense pain. Wrong! Because this pain sees to it that your broken heart heals and that you can love again. "That Sunday morning when he left the house without saying goodbye, is engraved on my memory. When I heard the door slam shut, I was overwhelmed by an intense sadness: I had lost my soul mate. After that, I panicked: how could I ever live without him? For thirteen years, we did practically everything together and now all of a sudden I had to survive on my own. I didn't want to. We had a close relationship and the last few years, because of our traveling, we grew closer together. I knew that he liked to flirt. His interest for other women sometimes caused tension between us. We had conversations about that with a relationship therapist. The announcement that he was in love however, was a nasty surprise. Deep inside I knew it was over, but at the same time, I kept on hoping that he would come back any moment. With him I felt safe. When I left, I kept the lights and heater on, so that it would like he was waiting for me when I came home. Everything to not feel that enormous loneliness; it was as if I, besides my past, was also losing my future. I did not understand; he said constantly that I was a fantastic woman. Why did he not want to be with me?" How sad we are, is not only dependent on the just ended relationship. A lot of it is dependent on the bond we had with our mother as a child. When she always gave us a safe and protected feeling, we have less trouble with intimacy and a big trust in relationships. If we have secure base behavior, we can deal easier with break ups. We know after all that we can always love. If we grow up with a mother that one moment showers us with love and reject us the next, we have trouble with relationships as adults. We are never sure about love. Not having secure base behavior we tend to avoid feeling the pain of a break up: we don't completely open up for another person or we become dependent to prevent our partner from leaving. If they leave anyway, it will increase our mistrust in relationships even more. The pain that follows is hard to cope with. Nobody wants to feel the pain of a break up. We want to put away the loneliness, panic and despair. This is a logical reaction, but a wrong one. By ignoring your hurt, you hinder the healing process. If you hide your hurt, you don't learn to heal from it. You don’t experience that you are strong enough to deal with the pain. Without this knowledge, you won't start a new relationship because you are afraid to be hurt again.